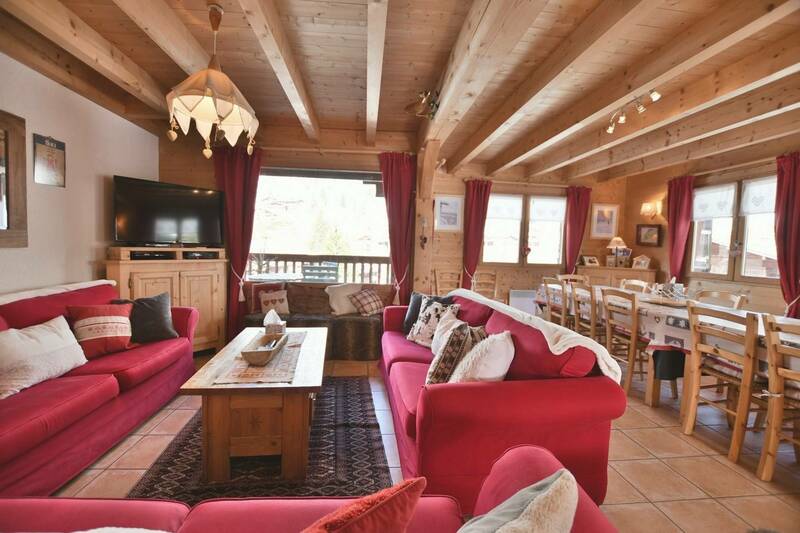 This magnificent 4 star chalet literally at the foot of the slopes located in the little village of the Chinaillon, in the Grand Bornand ski resort. 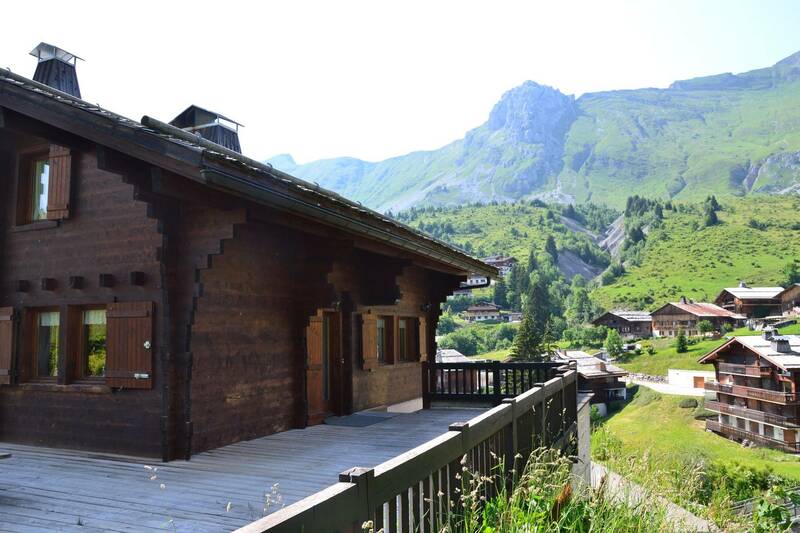 To the rear of the chalet, which is south facing, there is a 5 metre wide terrace. 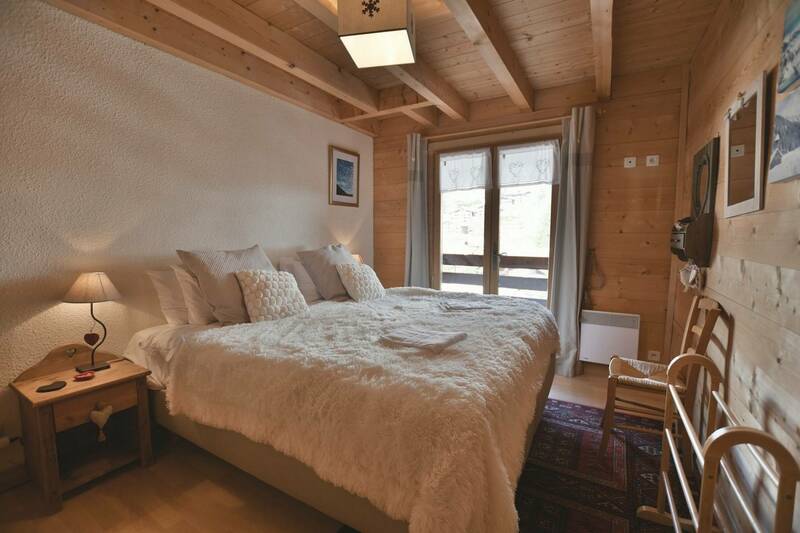 This attracts the sun from early morning to late in the afternoon and is therefore a brilliant sun trap for sunbathing even in January and February. 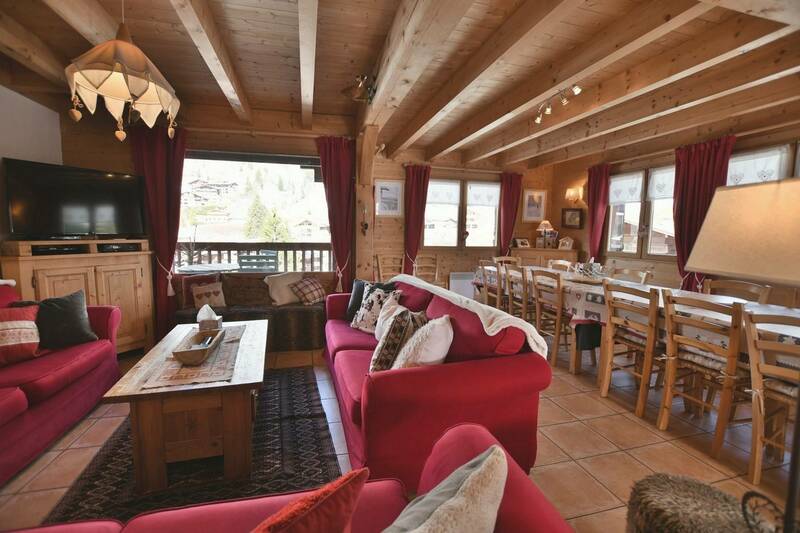 The evening sun can be appreciated on the front balcony which overlooks the village and is ideal for apres-ski drinks. 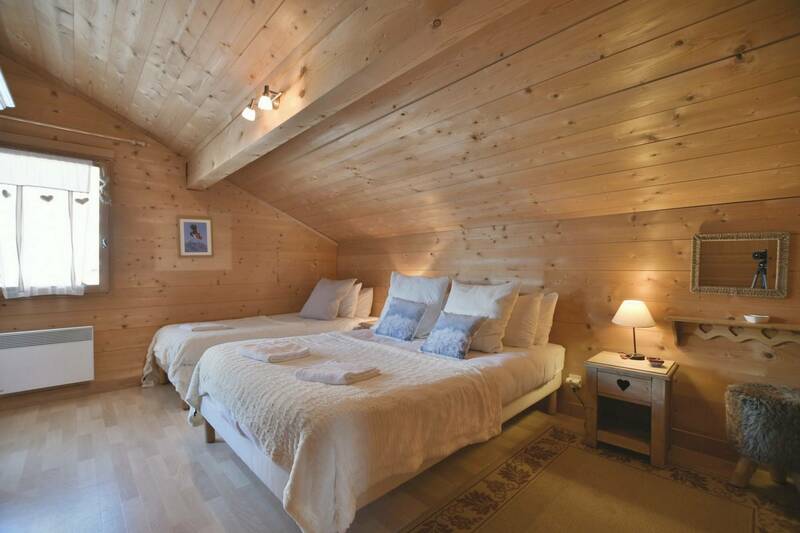 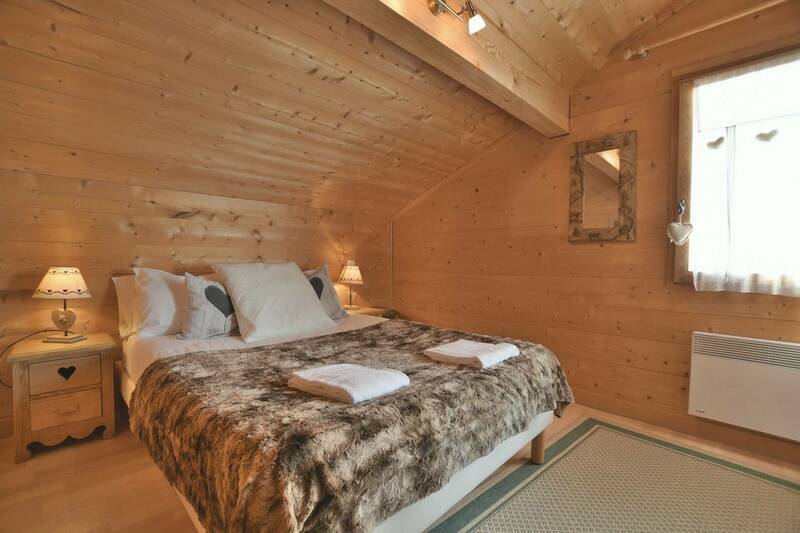 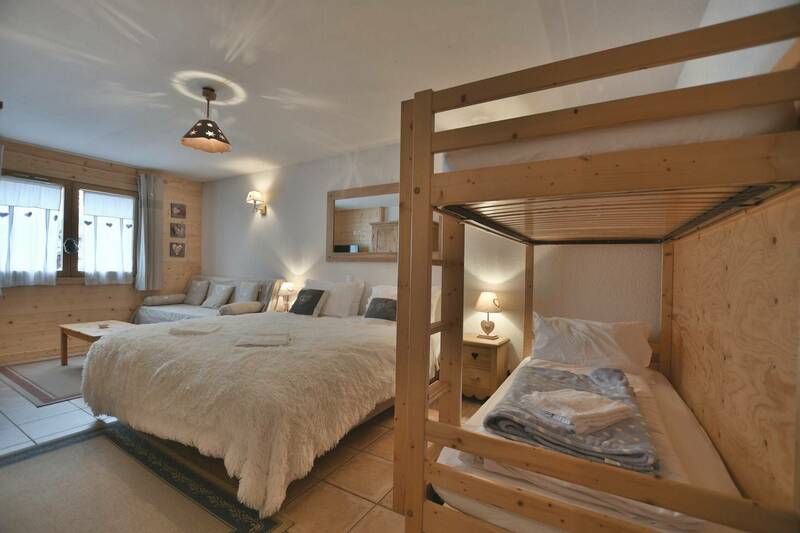 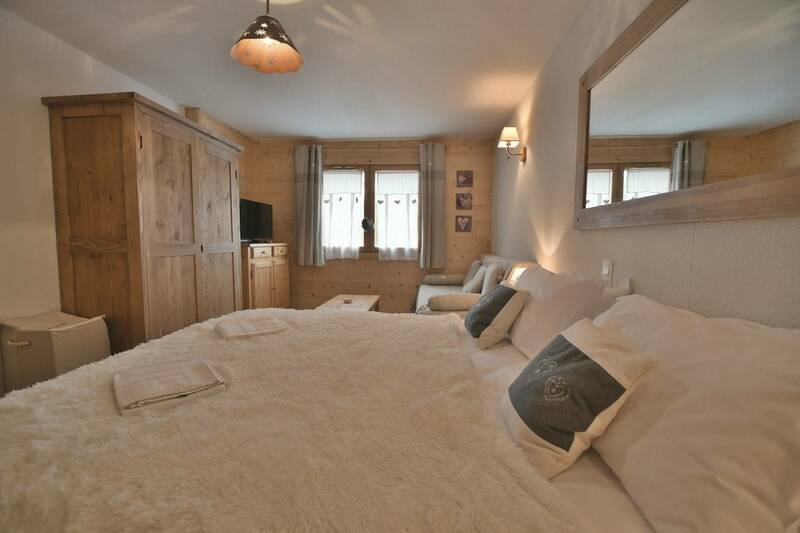 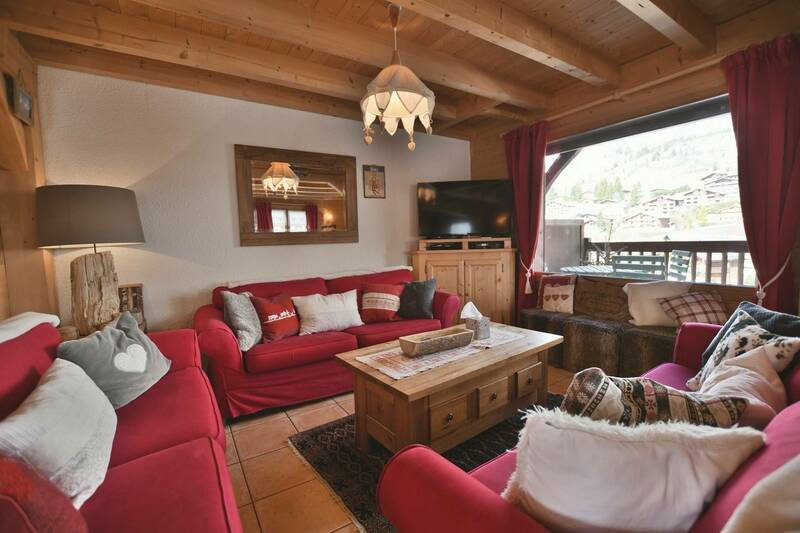 The chalet is equipped and furnished for up to 17 people. 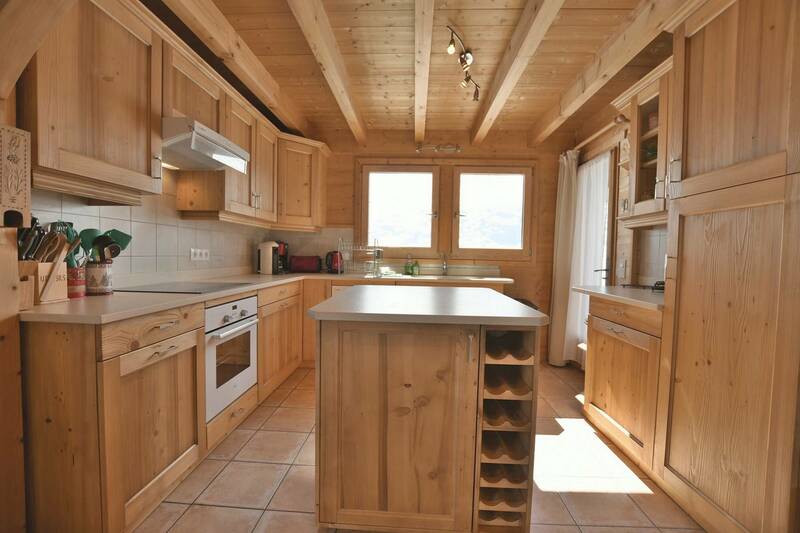 It has three floors and is 175m². 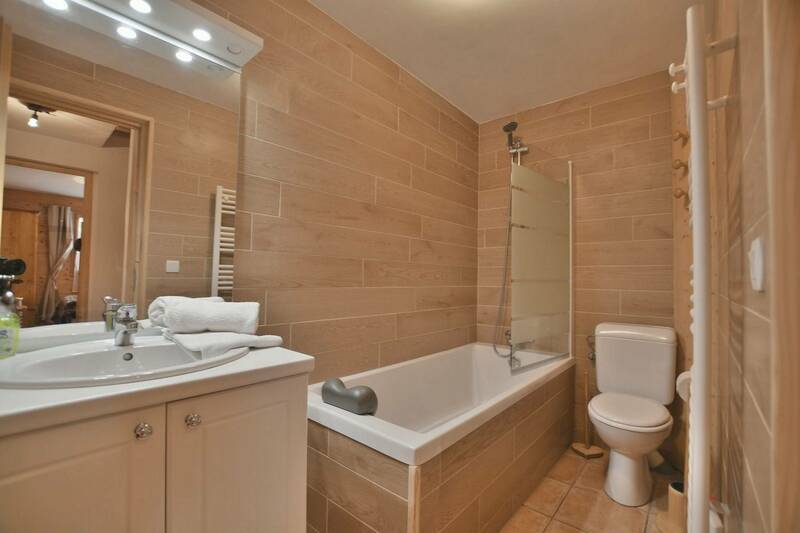 On the first floor there are 2 shower rooms with toilets and a laundry room with washing machine and tumble dryer. 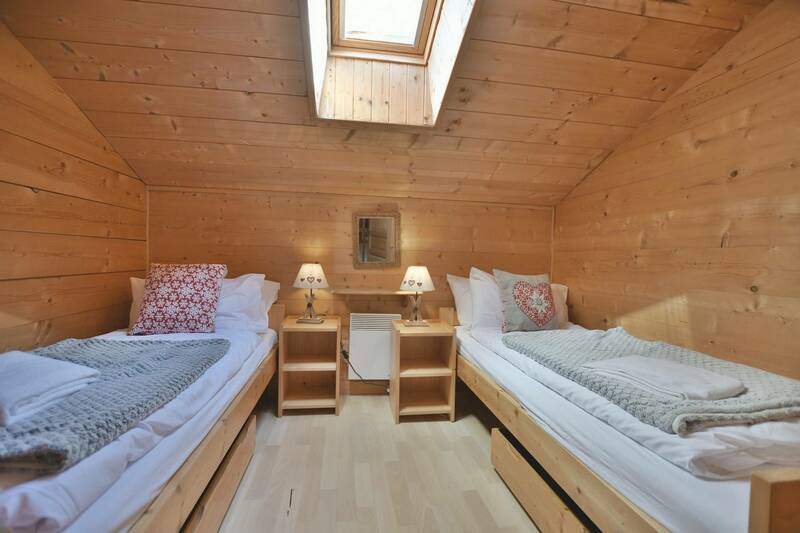 There are 2 bedrooms, one with a double bed and bunk bed the other has a total of 3 single beds (one of which is set up as a couch) and bunk beds. 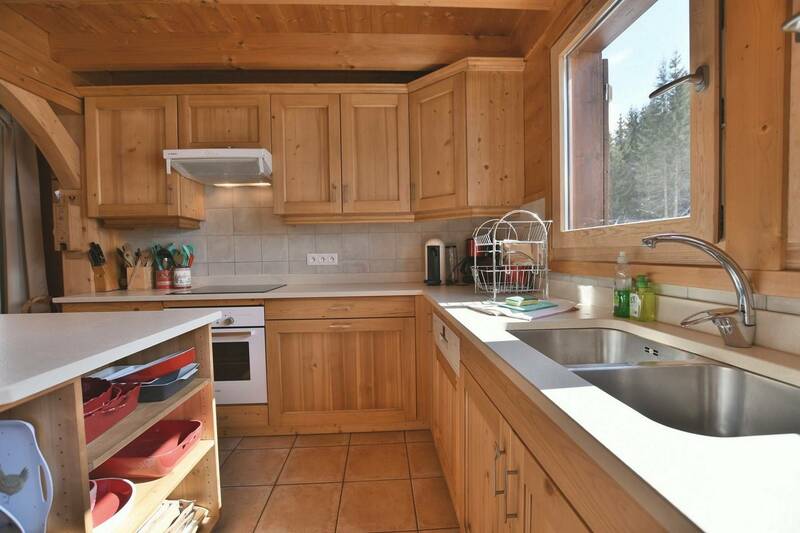 On the first floor there is the living area with a fully equipped kitchen that has a dishwasher, ceramic hob, oven, microwave and dishwasher. 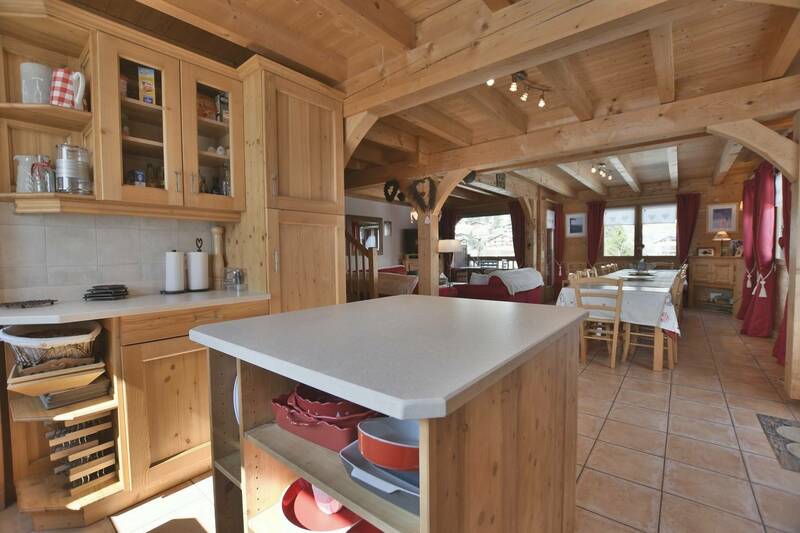 It is an open kitchen and you have the dining area with a big table that seats up to 17 people.The sitting room has a wide screen television and DVD player. 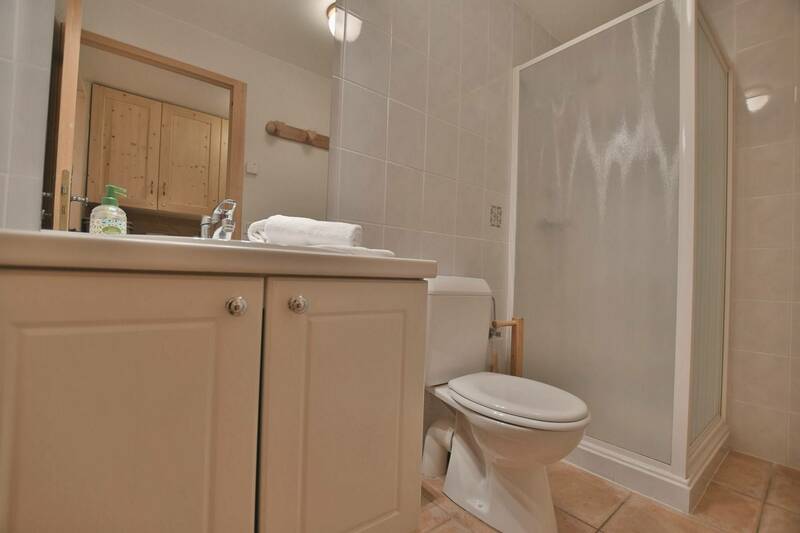 You also have a shower room on that floor with toilet. 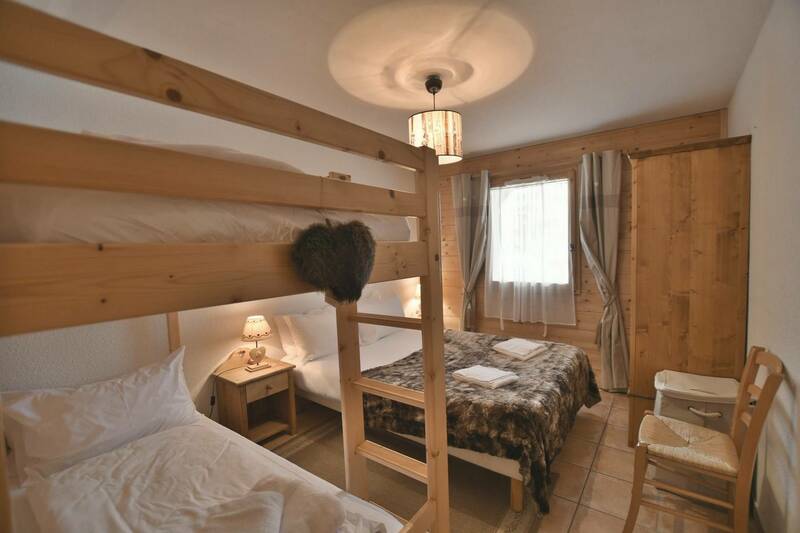 On the third floor there are 4 bedrooms, 2 with 2 single beds and 2 with 2 double beds.There is a bathroom with a toilet. 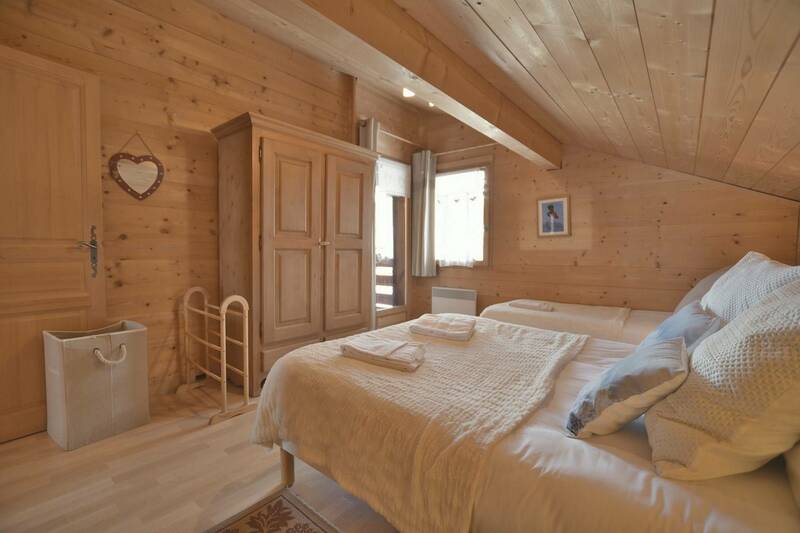 The chalet has a broadband internet router with Wifi. 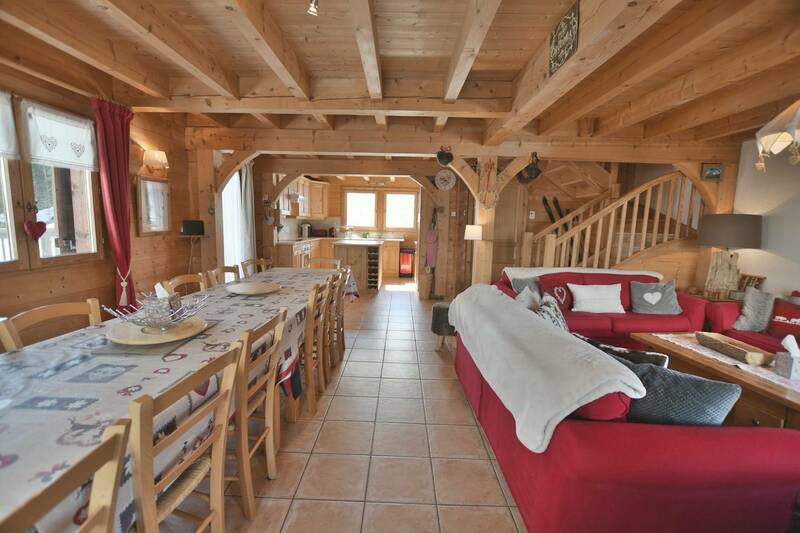 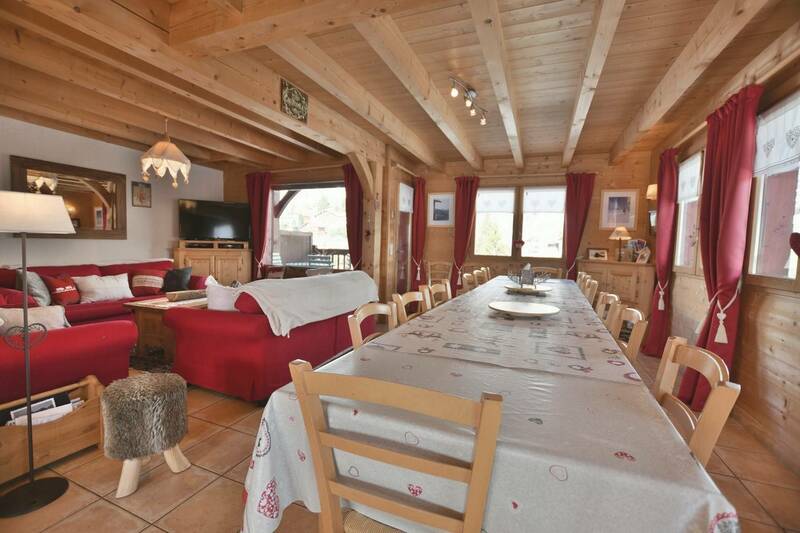 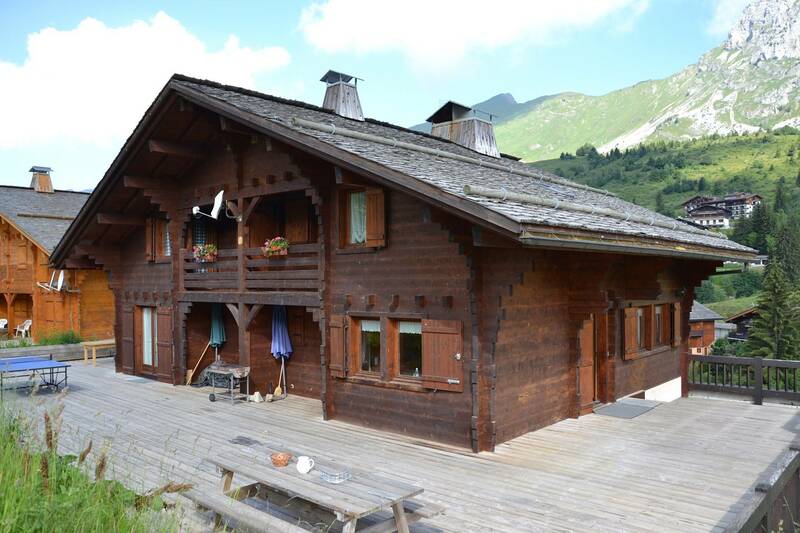 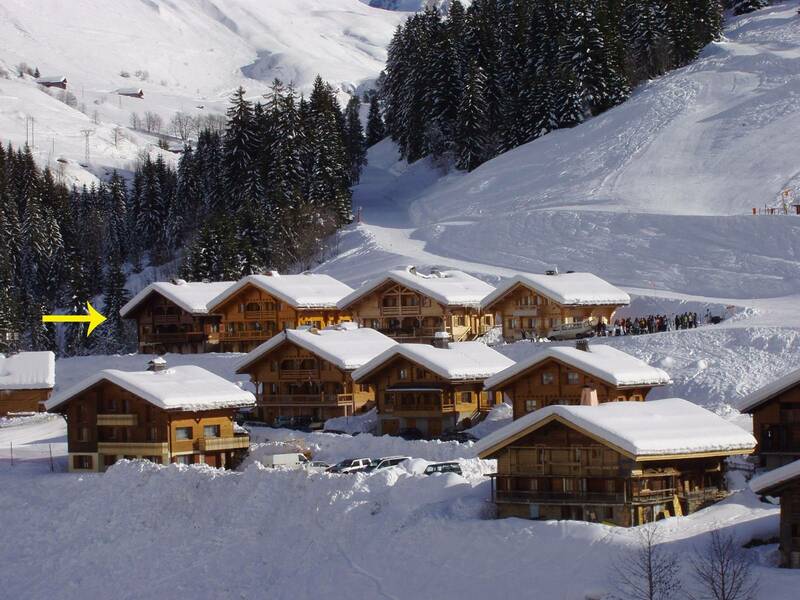 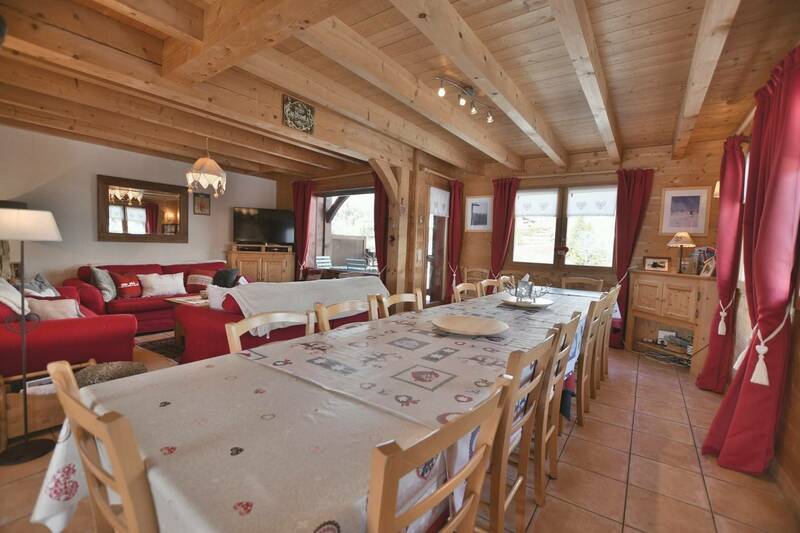 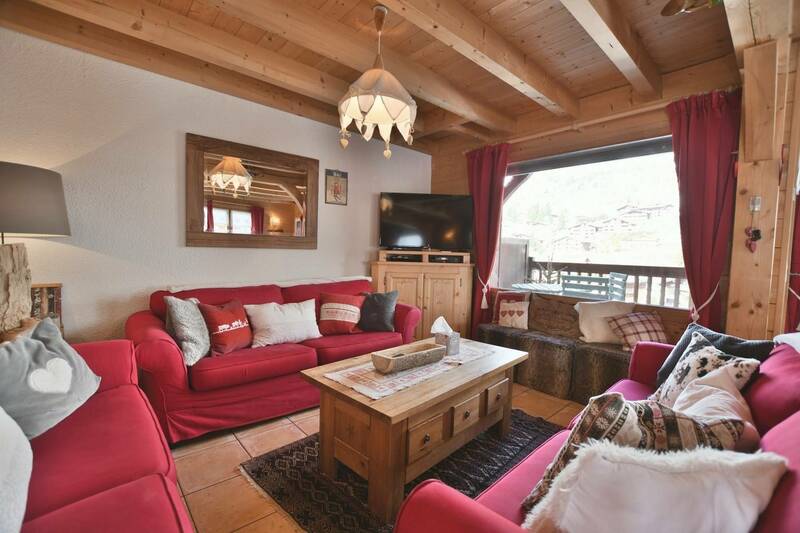 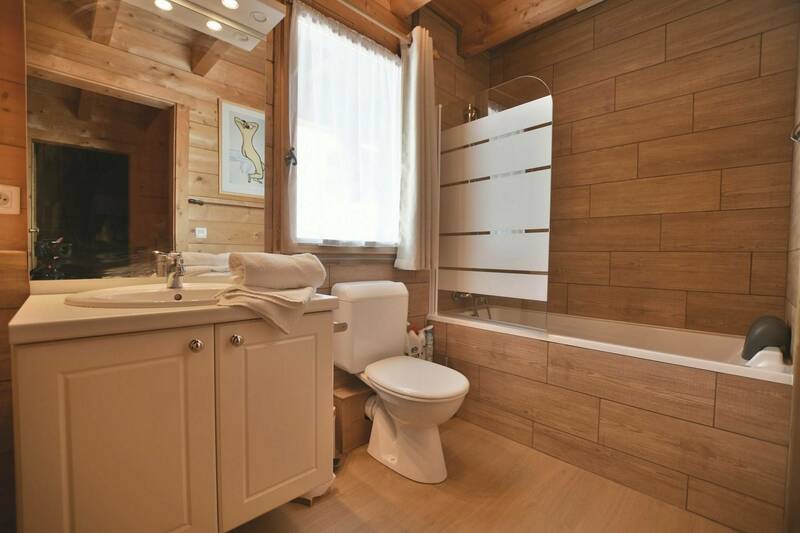 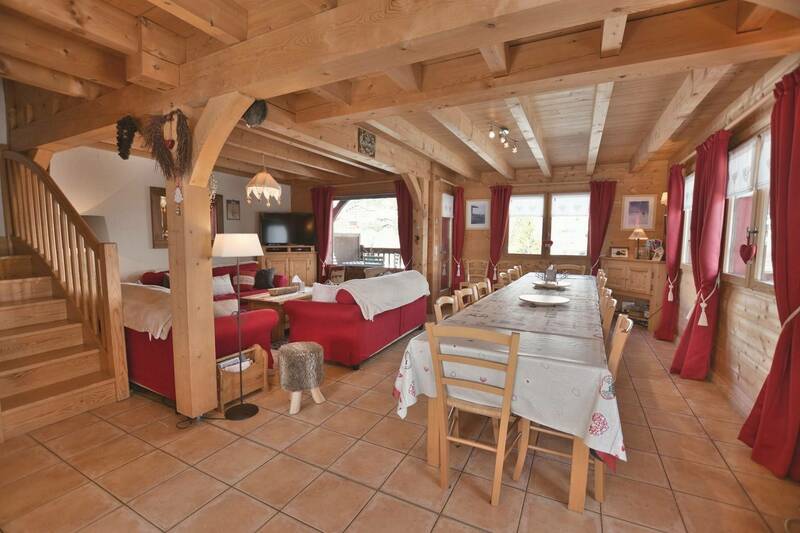 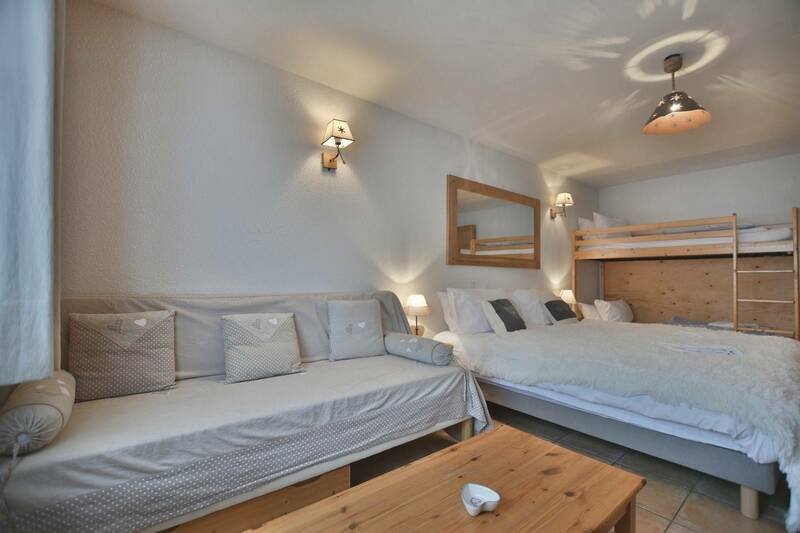 This chalet has the advantage of being at the foot of the slopes and only 200metres from the chairlifts. 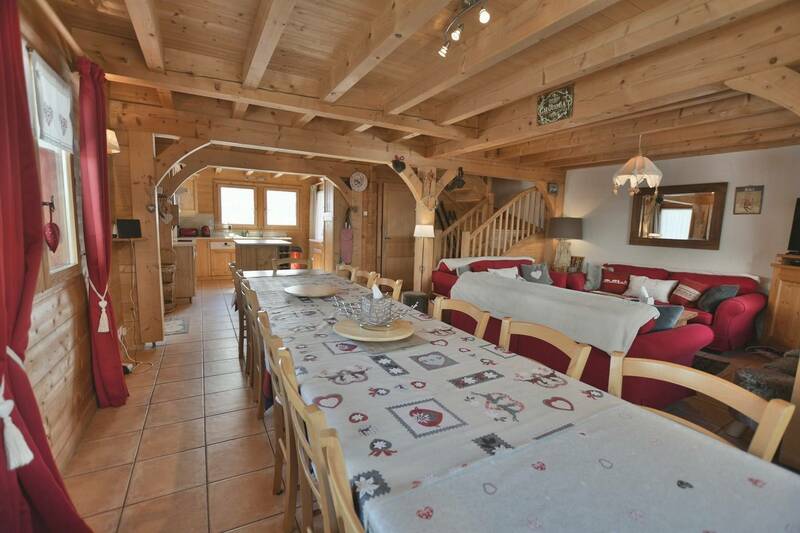 It is less than 5 mins on foot to the main street (ideal for those morning baguette runs). 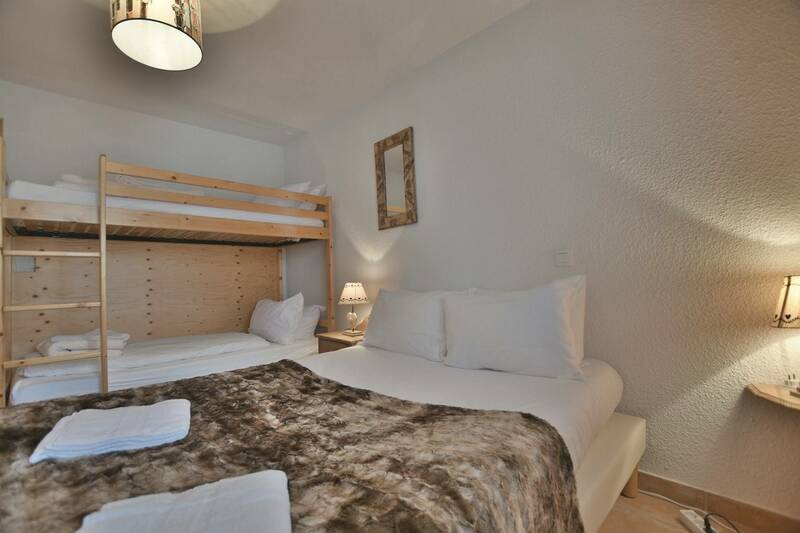 Extra services include full provision of linen (sheets, bath towels, hand towels, bath mats, tea cloths), as well as the inclusion of all rates and charges including the local tourist tax.